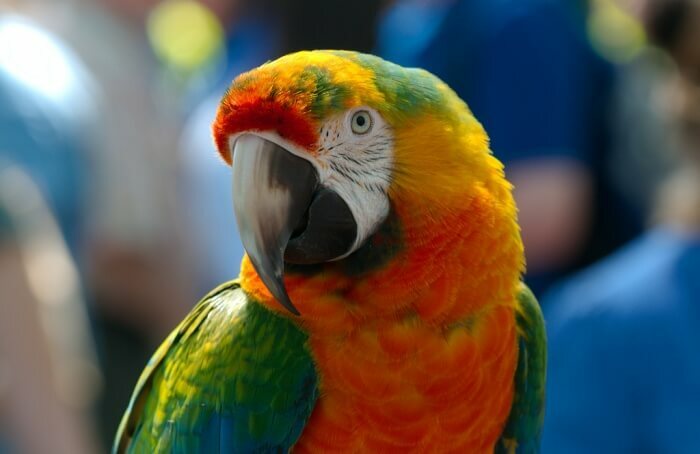 What Are Some Key Facts About Parrots? Parrots are one of the most well known bird species on the planet. There are more than 350 parrot species around the world, most of which live in the rain forests and jungles found in the Southern Hemisphere. The pygmy parrot, which is around the size of a human finger, is the smallest parrot in the world while the largest is the Hyacinth Macaw, which can grow to up to 39 inches in height. Parrots are omnivores that eat insects, seeds, nuts and fruits. The parrot lives a solitary lifestyle, and enjoy a long lifespan of anywhere from 40 to 80 years. The main predators of the parrot are large birds, monkeys and humans.